Best Feature of Android Lollipop. Android Lollipop completely overhauled the entire android user interface , since the introduction of Android Ice cream sandwich way back in 2011.Alot has changed since that including all major releases from 4.0 to 5.0.1 , changes have been made under the hood to enhance user experience from multitasking to battery consumption improvements. Android lollipop 5.0 has made its debut and is currently rolling out in stages , though that maybe 5.0 or 5.0.1 version. This new version brings a lot of new features like screen pinning , new setup process , new enhanced priority modes , battery saver mode including project volta , trusted devices feature while screen lock , user profiles , buttery smoothness all over the OS , apps in particular now open up from one direction , instead of popping out of no where, everything now has a sense of what has it has been designed for ! , put forth this is the best version of Android upto date #period , this is what android was being lacking , it was having all features.. before and now design,smoothness adds a new polish to an already Robust widely used Ecosystem..!! 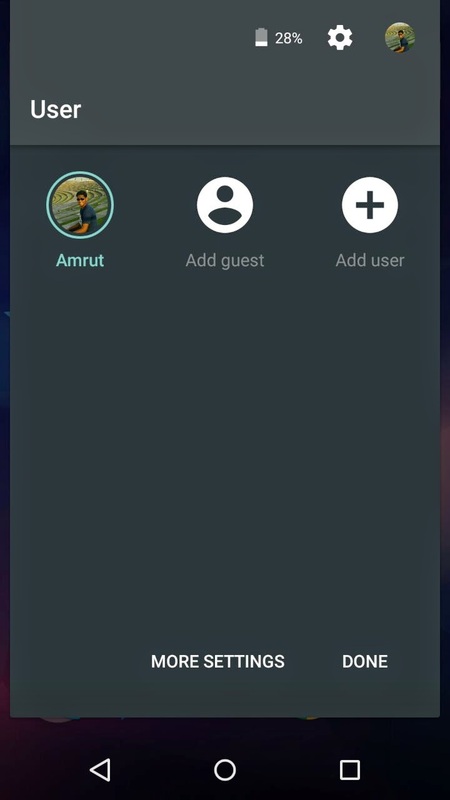 My favorite feature of lollipop is User profiles mode , wonder if you want to give your phone to your friend for a day, you might be confused whether what to do , lollipop handles this smartly , it has a guest account and a new user account simply tap on user account , let your friend enter his/her account and password and use it as his own phone...!! Basically what is done is Your Main account is securely encrypted in the sandbox of the phone (that part cannot be accessed by your Friend , neither the apps,contacts,photos,games... nothing is seen to your friend ), and you have given your friend a completely new phone basically he has to setup a new device and partition is made for that account of your friend's. All on the phone now is your friend's apps,contacts.. etc ,don't worry your account hasn't deleted yet everything is safe !! if you gotta switch back just go to lock screen switch the account and you are good to go..!! Now think this other way , consider you need to make an urgent call..!! and your phone went dead due to battery.. you don't have a micro sim card and your Friend's phone does need one.. so now you can't swap sims since you need a particular contact , what to do.. pretty tough situation right ? No worries android lollipop's here.. just go to user profiles icon in notification tray , switch to user mode setup your profile , since you have entered your account info contacts are synced now , and so finally you can call that person whom you wanted to call so urgently..!! without having the fear that your contacts might get synced with his account , since you are in user mode , you are in new profile and nothing will be shared/synced with other profiles.. so now be worryfree and enjoy the lollipop Sweetness.. thumbs Up Google !!! 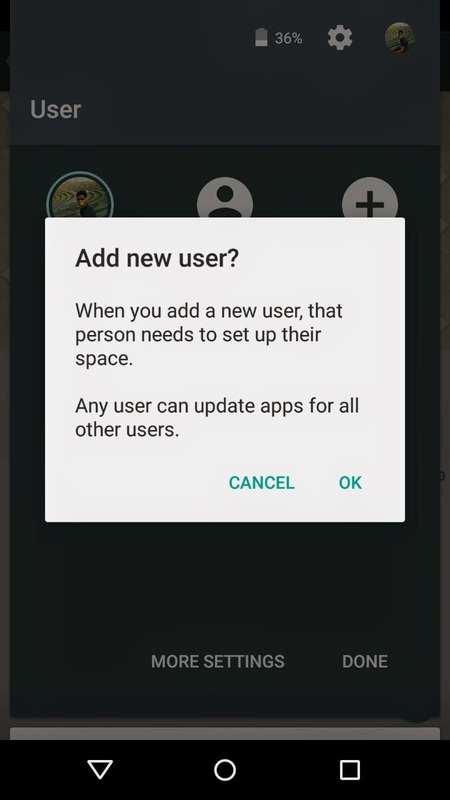 But for this feature to work your friend must be on LOLLIPOP though !